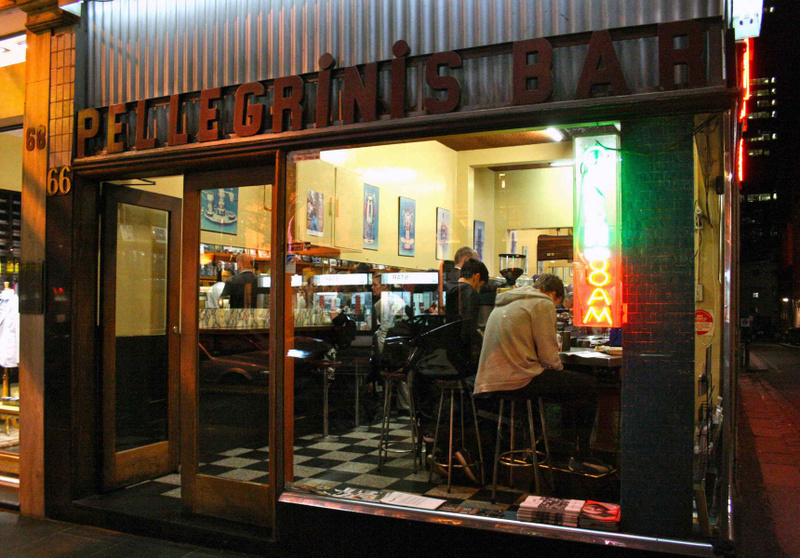 Pellegrini’s is all about character, honest Italian fare and coffee. 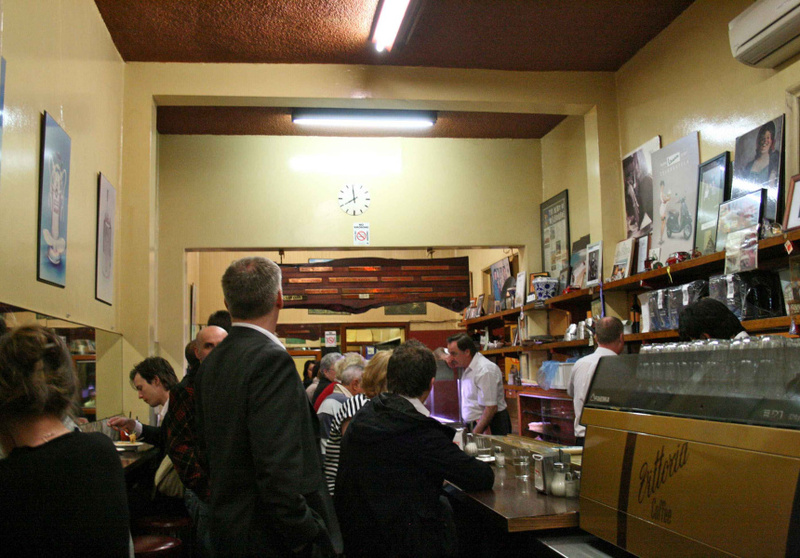 In fact, it is said (by Pellegrini’s themselves) that the first espresso machine to arrive in Melbourne was delivered here in 1954 – opening the gates to a city-wide obsession. In many ways, the place remains unchanged since then with its red vinyl stools and checkerboard floor. 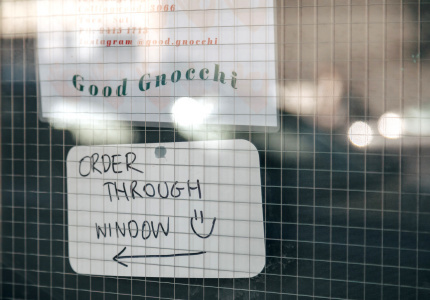 The white-shirted waiters may fluctuate between disarmingly charming or fiercely dismissive, but the menu remains concise and consistent in its delivery of old favourites, like spaghetti bolognaise and a cheesy lasagne. 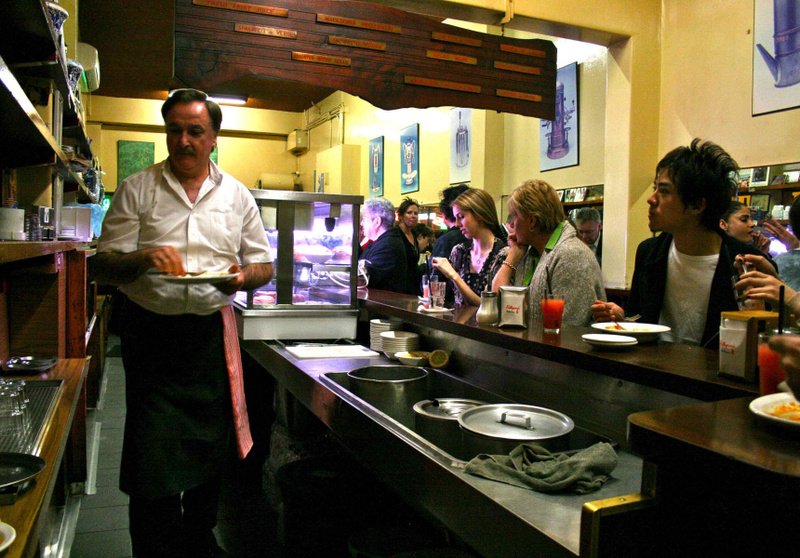 Above all, Pellegrini’s operates like Melbourne itself; refusing to reveal all of its oddball charm and endearing idiosyncrasies upon a first visit. Many of the items on offer aren’t on the written menu. 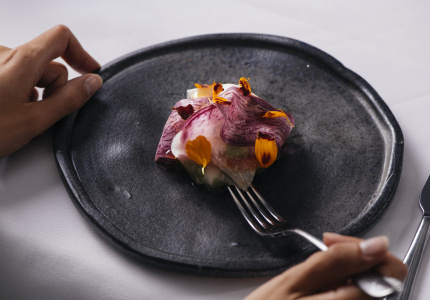 But over time and with ongoing patronage you’ll be inducted into the tradition of a Friday gnocchi dish or summer-time watermelon granita. 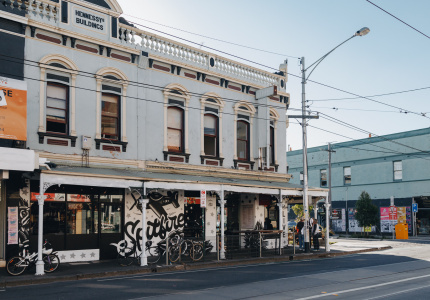 Evidence of the appeal of this Melbourne institution is found in its diverse crowd of regulars, from the suited office workers, to the early evening theatre goers and the scores of students looking for a cheap and hearty meal. 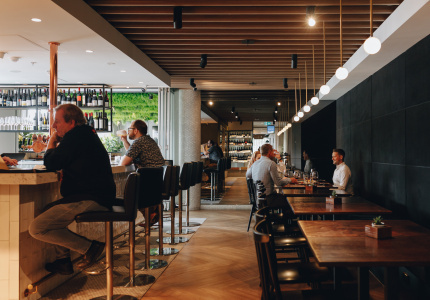 Grab a seat at the communal kitchen table, order an espresso and take part in the Pellegrini’s tradition. A recipe from Pellegrini's is featured in The Broadsheet Italian Cookbook. Buy your copy at shop.broadsheet.com.au.